This is to bring to your urgent attention that an article titled, 'MNC-supported Jaipur Literary Festival begins in London following unprecedented "outrage" against Vedanta', posted on your portal on May 21, 2016 was filed mentioning Vedanta’s name in it. The article has given one sided view of letter written by a section of writers but Vedanta, which has been accused of certain things, was not given chance to present its views. 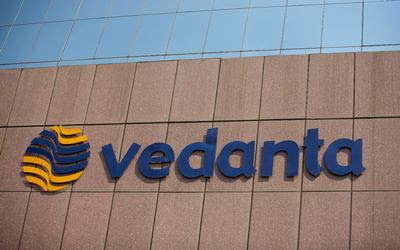 Vedanta strongly refutes all allegations made in the letter quoted in the article. Vedanta Resources is a global company with world-class standards of governance, safety, sustainability and social responsibility. To say the least, the article published in your esteemed publication has caused anguish to the company and its stakeholders. The size and scale of Vedanta’s commitment to CSR and sustainability is one of the most robust in India and we spent US$ 42 million on community development initiatives, while this year we have delivered long-term social and economic benefits to approximately 4 million people. We manage our environmental footprint according to the most rigorous global standards and last year, we invested US$ 61.5 million in environmental initiatives, while 88% of our sites are now certified to the ISO 14001 environmental standard. We have also been recognised by the Confederation of Indian Industry’s Sustainable Plus Awards – the world’s first sustainability label – as one of the top 10 most sustainable companies in India. A detailed point wise rebuttal of the issues raised in the letter by section of writers is given below. We welcome a direct and open dialogue with any organisation or individual that has doubts regarding Vedanta’s commitment to sustainability and engagement with the communities where it operates. We strongly believe that the news article about demands for boycotting the event due to allegations against us (sponsors of the event) is a one-sided piece and request you to carry our denial of the allegations as prominently to ensure a fair and balanced coverage. 1) KCM has spent over $ 700 million improving the environmental performance of its operations, as a clear demonstration of its commitment to social and environmental sustainability of its operations. 2) When Vedanta took over the operation at KCM we inherited mines and processing plants that had been in operation for many decades. Along with taking over the operations at KCM, Vedanta has also inherited environmental legacy issues which the company has addressed over time. 3) In April 2015, the Supreme Court of Zambia upheld a judgment by the High Court stating that KCM had been responsible for pollution. Out of 2,000 claimants the Supreme Court allowed the claim for 12 claimants, provided they are able to prove that the damage to their health has been caused by the incident. So far we have not received any claim. 4) Over the past decade, almost $3 billion has been invested to upgrade machinery, buy new equipment and reduce the legacy environmental footprint, as well as to increase production capacity. About $700 million of this investment has gone into improvements of KCM’s environmental footprint. Today, KCM’s operations conform to the global environmental sustainability standards in the industry. 5) Our environmental team is trained to reinforce environmental standards companywide. Furthermore, line mangers ensure that their teams are fully compliant through daily monitoring and training on an emergency preparedness system. 6) Along with our substantial investment in Zambia, to which we remain committed, Vedanta has transformed the water footprint in the region. Through a programme of underground rehabilitation for water handling and pumping facilities, Vedanta has, since 2007, significantly improved the quality of water. 7) KCM’s Konkola mine is one of the wettest in the world, so the primary focus has been on water: improving quality, reducing discharges and increasing recycling. Over US$5 million has been invested in underground water rehabilitation with new pumps to handle slurry and desilting, decreasing the total suspended solids (‘TSS’) in discharged water by an impressive 75% in four years. 8) The Pollution Control dam has been desilted and effluent from the Nkana refinery is being treated with the recycled effluent reused to wash copper cathodes and water vegetation around the mine site, reducing monthly domestic water consumption significantly by over 50%. 9) As a result of the company’s efforts, the Kafue River upstream and downstream is a reliable water resource for irrigation, fishing and transportation for the communities that live along its banks. KCM is committed to improve the existing conditions further, targeting best-in-class global environmental sustainability standards. 10) We have a long-term commitment to Africa and remain fully committed to maintaining the highest quality of operations at KCM, thereby realizing the potential of this high quality asset, and helping Zambia develop as well as grow its natural resources. 11) Significant levels of earnings from KCM have been reinvested back into the company, thereby expanding the mine life, increasing employment in the region, raising real salaries, significantly reducing the number of expatriates and providing technical and management training for thousands of Zambians. 12) Current status of legal proceedings: The claim was initiated in August 2015 against Vedanta at the High Court in London by a group of Zambians alleging water contamination at KCM on behalf of 1,826 Zambian villagers, although a letter before claim was received earlier. Both KCM and Vedanta are parties to the proceedings. The current proceedings are a preliminary hearing on the jurisdiction of the UK courts to adjudicate the claim. 1) Over nine years of ownership by Vedanta Resources, KCM has made $2.9 billion of capital investment and made just $73 million in dividend payments – a fifth of which have been paid is to [ZCCM-IH, KCM’s minority shareholder, which is controlled by] the Zambian government. 1) With regards to the unfortunate incident at BALCO, in Korba, Chhattisgarh, we would like to clarify that the company hasco-operated in every regard with the investigations by the public authorities. There were 4 other independent findings (by 3 IITs and 1 Florida professor) which contradicted the findings of the Bakshi Commission. An appeal was filed in the High Court at Chhattisgarh and they have guaranteed a stay on this Commission. The matter is still pending before the High Court and is to be listed for hearing in due course. 2) Internal investigations concluded that heavy lightning and thunderstorms on 23rdSeptember 2009 struck the high standing structure and triggered the collapse of the chimney of the under construction power plant in Korba, Chhattisgarh. 1) The bauxite mining project at Lanjigarh, Odisha belongs to the Odisha Mining Corporation (OMC) and to date neither OMC nor Vedanta has acquired any land in the Niyamgiri Hill ranges. As clarified and recorded in various Supreme Court judgments, there is no habitation on the proposed Bauxite Mining area. The Niyamgiri sacred peak of the hill is located at a distance of 10 KM from the Bauxite Mining area. Vedanta has not carried out any illegal land grabbing, or displaced anyone in any region. 2) Vedanta publicly stated in 2014 and continues to reiterate it is not seeking to source bauxite from Niyamgiri bauxite deposits for its alumina refinery operations, and will not do so unless we have the consent of the local communities. We continue to pursue alternative options for our long term bauxite supply. Vedanta is a law-abiding company and all of our operations comply with the applicable regulations. We continue to consult with local communities and engage with them on a continuous basis. We have not and will not do anything without local consent. 3) In response to the allegation that Vedanta has attempted to secure the Niyamgiri hill through a recent Supreme Court plea in April-May 2016, is completely untrue. Vedanta is not party to the recent petition filed by OMC in the Supreme Court to conduct the Gram Sabha again. This is a matter for the Government of Odisha. We noted the Supreme Court rejecting OMC’s plea and respect the decision taken by the authority. 4) Vedanta has committed to refrain from mining without the consent of the local people. We have not moved anyone from their homes; we have not even cut a single blade of grass in the area. On the contrary, we have invested over Rs. 60,000 crore on various projects in Odisha. The refinery has also offered direct and indirect employment to over 7,000 people. 5) The IPO of Vedanta Resources plc on the London Stock Exchange in 2003 was conducted in full compliance with all the financial markets regulations and represented a fair value of the company, objectively taking into account all company risks and prospects for growth. Vedanta’s IPO prospectus has clearly outlined that prospective mining on the Niyamgiri hill was subject to approval by the State of Orissa and the Ministry of Environment and Forest of the Government of India. 1) With regards to iron ore operations in Goa, activity ceased in the state in September 2012 as a result of the state government order dated 10.09.12. Subsequently, MoEFCC suspended the Environmental Clearance issued to the mines vide its order dated 14.09.12 and then the Supreme Court imposed a ban on mining vide its order dated 05.10.12. 2) Even though the initial relief came in April 2014 by way of the Supreme Court judgement dated 21.04.14 that lifted the ban on mining, MoEFCC revoked the suspension imposed on Environment Clearances for some of the mines recently in March 2015. The process of obtaining consent to operate under Air (P&CP) Act, 1981 and Water (P&CP) Act, 1974 from the State Pollution Control Board and approval of the Mining Plan from IBM for individual mines is in process. 3) During the ban period, the iron ore produced and stockpiled at different places like mines, jetties, transit plots etc. was considered illegal by the SC in its order and was confiscated by the state government. Due to the appeal by the mining industry to the SC, the process of hearing to permit shipment / sale of ore lying in their premise, SC vide its order dated 11.11.13 had constituted a committee and allowed the e-auctioning of the ore by the state government under the supervision of the committee. The company restarted mining at its Codli and Bicholim mines in Goa in August 2015 after receiving all required approvals. 1) As of 31 March 2016, Hindustan Zinc Ltd had an operating workforce of over 17,000 including contract workforce. Safety is a top priority for Vedanta. We are working hard to improve safety levels and working conditions across the business. We are working towards a zero harm environment across all of our operations and have developed a new mining plan to improve safety and working conditions across the Group. 2) As a clarification to the complaint, dated 10.12.2013 to the District Collector, that the company is destroying crops and houses around its phosphate mines, there was a site inspection by the Regional Officer (RO) and Rajasthan Pollution Control Board (RSPCB) on 14.02.14 that found no evidence to support the complaint. The inspection was also carried out by Indian Bureau of Mines (IBM) officials and they too found that the complaint was unfounded. We did not receive a report from IBM but we managed to get the report from RSPCB. 3) There are agricultural fields belonging to farmers in proximity to the lease area. There have been no complaints and no damage to these farmers’ land. Thus it is not possible that his land has been damaged and not that of the zone in between. Photographs of the area show that there was a good crop in all the fields around the Maton Mine. The complaints were concluded to be false, by the Regional Officer with responsibility for investigating the matter.